Westbuild has a range of state of the art plant and equipment to ensure our products are designed, manufactured and presented to the highest standards using stringent quality control systems. It is re-investment in production that ensures we supply to the market at the best possible price. 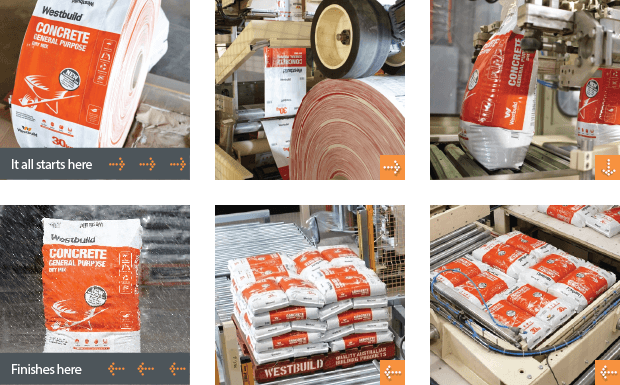 Not only is efficient manufacturing important to Westbuild, but so is the efficiency and quality of the packaging we use to distribute, market and present our products. We constantly work with our supply partners, to ensure our products are packaged well whilst also working towards increasing recycled material content, down gauging and all the while sustaining stronger and more flexible solutions. We also engage in toll manufacture and, we have been called upon to manufacture for local, national and international companies on a continuous supply basis. With our modern and efficient facilities, we are proud to be the ‘manufacturing arm’ for our clients who demand strict, accurate and consistent production facilities. World class practice meets local knowledge.